When it comes to politics I guess I identify more with the Labor party rather than the Coalition (not that it matters, my electorate will forever be Liberal it seems) but basically the only reason Labor got my vote this year was because of the promise of the Fibre to the Home (FTTH) broadband network and its superior speeds in comparison to the Coalition’s Fibre to the Node (FTTN) plan. Have a look at ‘How fast is the NBN would the NBN have been‘. Now I’ll be the first to say that this is quite a bias representation however it does hold some truth to it. Labor’s FTTH boasts speeds of 1GB per second download and 400mb/s upload (that’s pretty quick) yet the coalition has not specified the speeds for the FTTN. As I am sure you clever people can figure out for yourselves, Fibre to the Node means the high speed fibre will be connected to a node on each street and from there copper wire will be used to branch internet to each of the houses (pssssst you know what we use now for internet/phone cables? copper, and that isn’t good enough now why would it be in 10 years?). So essentially it’s super quick to the node but slow to the house. Another variable with the FTTN is the distance of your house from the node. It really isn’t rocket surgery to be able to figure out that 20 meters or copper cable will provide greater speeds than a 200 meter cable. And yes arguably this could also be said about the speeds of the FTTH because it is all cables, but the speeds are so great there would be little to no variance over such a distance. Now normally I don’t care too much about politics, the way I see it Labor isn’t as bad as Coalition supporters state and vice versa, but the FTTN really rustle’d my jimmies. You see, when discussing policies it really doesn’t take too much for one party to reverse another party’s decision once they are in power. However, with the NBN once the coalition puts the FTTN in, well… we’re fucked, because once that bad boy is in, it’s going to cost a shitload to turn it into FTTH. Australia is the second highest country on the HDI yet we don’t have a high speed broadband connection yet? I mean, we are still squabbling over that and the United States are already rolling out Google fibre! And I’m sure I need not bring attention to the speed difference again. Admittedly there is a high price for the FTTH, and yes it seems that the budget and time allocation will be exceeded but I’m sure you’ll be spending more time waiting for things to download in the long run with the FTTN than you will for the install of the FTTH. Yes Australia is large geographically but that is still no excuse for greatly ruining our chances for superior internet. 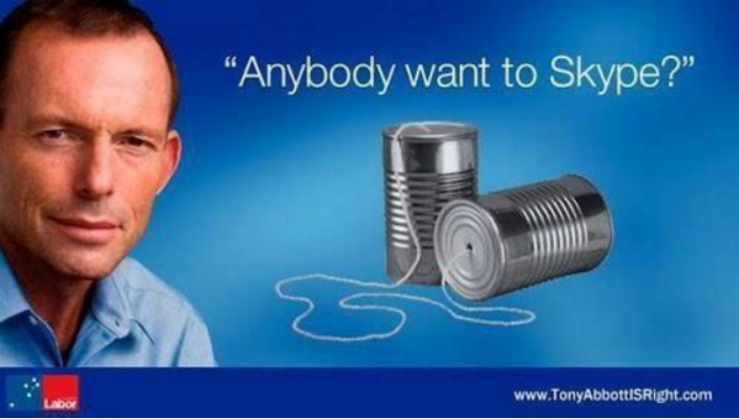 Sign this petition to try to convince Tony Abbott and Malcolm Turnbull to change their plans. Surely the Coalition doesn’t actually believe that this is better for Australia?